Viknesh Vijayenthiran July 20, 2016 Comment Now! 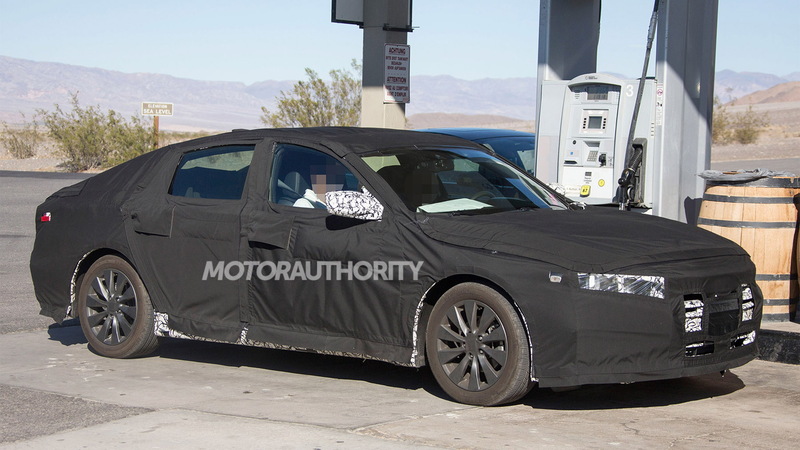 A new generation of the Honda Accord is set to bow next year and we have our first spy shots of a prototype. What’s immediately clear is that Honda has adopted a sleeker, sportier look for the latest generation of its popular mid-size sedan, officially the nameplate’s 10th. 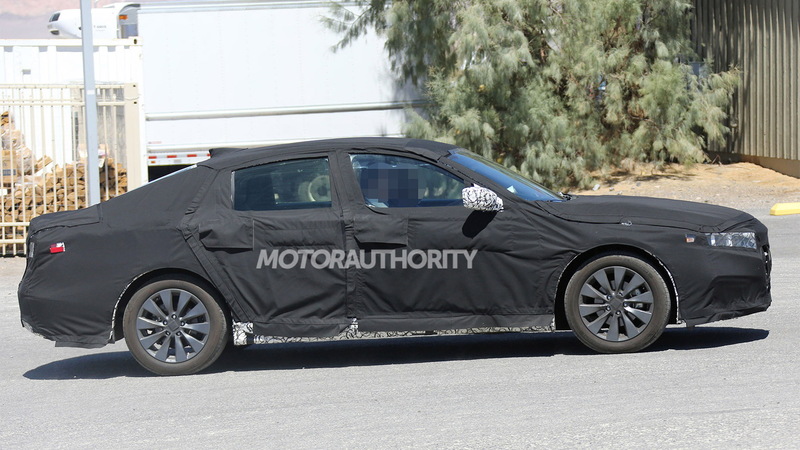 It appears the design team has taken the handsome look of the award-winning 10th-generation Civic and scaled it up for the Accord. Key design traits include the angular front end and fastback roof. A glimpse at the interior reveals that designers have also looked at the Civic for inspiration, with the compact car’s angular design themes carrying over to the Accord. And a slighter larger footprint compared to the outgoing Accord should mean more space. Also borrowed from the Civic is the car's platform. 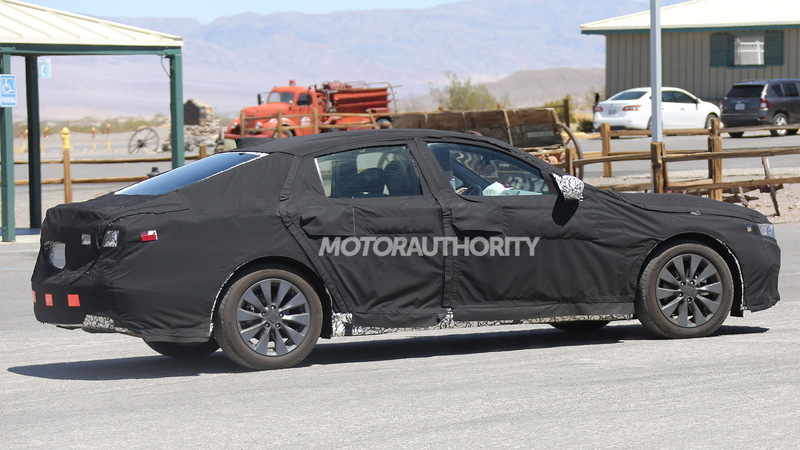 The new modular design from Honda is lighter and stiffer than anything previously used by the automaker for its regular fleet and should benefit the Accord’s dynamic qualities considerably. 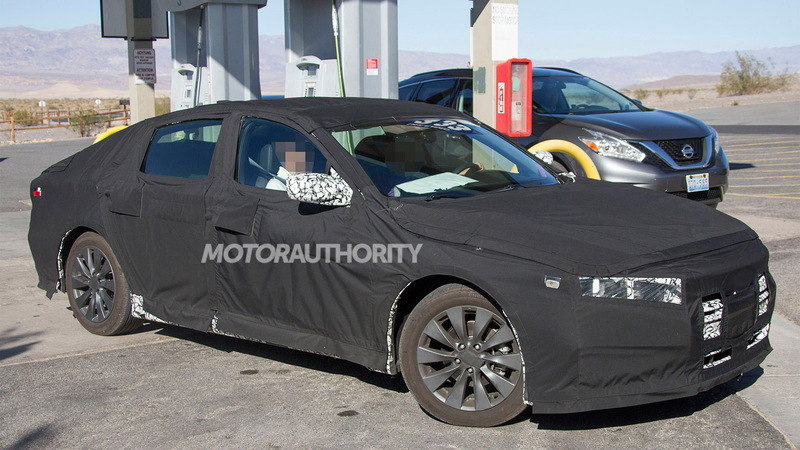 A version of the platform will also underpin Honda’s next-generation CR-V, which was also spied recently. In the powertrain department, the base option should remain a 4-cylinder. It’s possible, though, that the more potent option this time around will be a turbocharged 4-cylinder instead of a V-6. An Accord Hybrid will also be offer, featuring the same 212-horsepower 4-cylinder and electric motor combo that Honda introduced in the 2017 Accord Hybrid. The starting price should remain close to the 2017 model's $22,355 sticker. 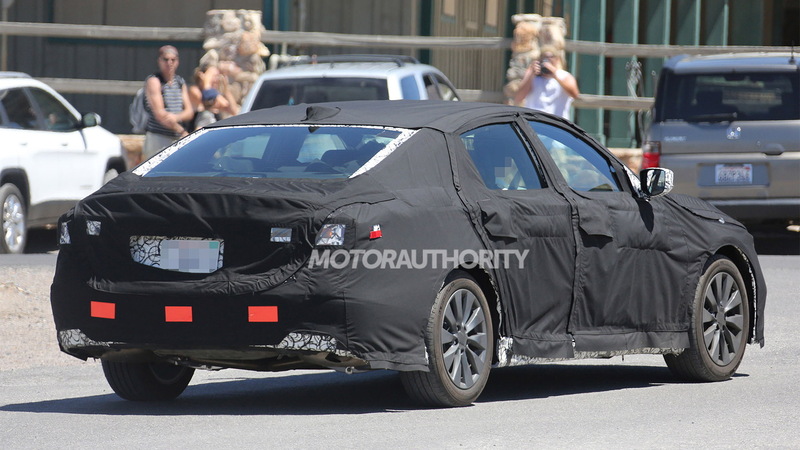 Look for the new Accord to debut mid next year as a 2018 model.